Guest Bio: Dr. Steve Sudell holds his Clinical Doctorate in Physical Therapy and specializes in working with high intensity athletes on mobility, strength and post-injury physical therapy. He is the inventor of the Neck Hammock. As a physical therapist, he saw a gradual up-tick in patients complaining of neck pain. While he was able to treat them at the gym, there was nothing he could give them to use at home. After he tweaked his neck working out, he wanted to give himself cervical traction. He grabbed a band, wrapped it around a pole and around the back of his head. Ten minutes later the neck pain was gone. Neal Howard: Hello and welcome to the program. I’m your host Neal Howard here on Health Professional Radio for this health suppliers segment. 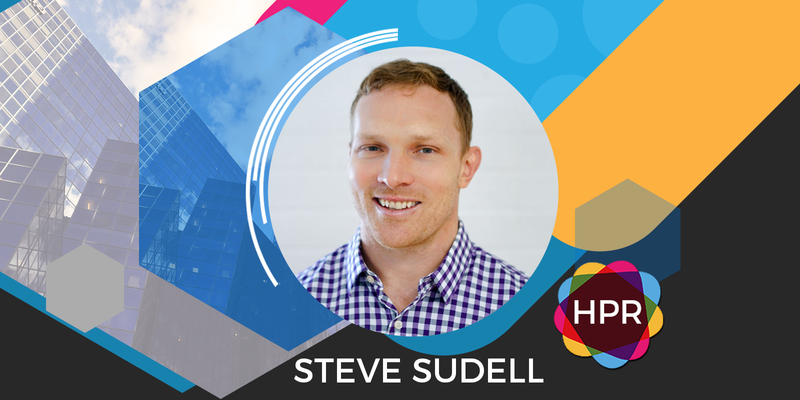 Our guest is Dr. Steve Sudell, joining us to talk about the portable device that he invented for cervical traction to relieve pain in the neck – the Neck Hammock. Welcome to the program Dr. Sudell. Dr. Steve Sudell: Thank you Neal. It’s great to be here. N: Give our listeners just a bit of background about yourself and we’ll jump right into talking about this new invention. S: Yes. My name is Dr. Steve Sudell. I am a doctor of physical therapy. I’ve been practicing in lifestyle for about the last eight years. Prior to that, I also worked with professional athletes such as the Atlanta Falcons, Jacksonville Jaguars as an athletic trainer and I have also maintained the fact that I’m a competitive athlete my entire life. N: Is inventing something that you’ve tinkered with or is this something that just happened all of a sudden this relief for pain? S: I’ve always been very curious on how I can make things better. This is actually my third invention. I’ve made two other inventions prior to this trying to again make a better mousetrap. How can I improve a system, how could I reduce falls with the elderly and then with the Neck Hammock I saw that there’s a huge need for something that people could use at home, that was both effective, affordable and convenient. N: Why something to use at home? I mean most of your clients are in the gym or they’re on the field where all of that stuff is readily available? S: The thing is that I can do the best that I can as a clinician while I’m seeing that person. But the truth of the matter is that majority of their day is spent not in my clinic. So I wanted to create a product that they could use to supplement our services and potentially could allow them to improve their spinal hygiene, flexibility and reduce their pain without even seeing me. N: Lots of times when you’re visiting a physical therapist for a post injury therapy or anything, the therapist relies on what the patient is saying, how he’s describing his pain. Talked about how you had a little of an advantage in developing the Neck Hammock based on your own experience. S: The fortunate thing I should say that I’ve actually suffered from neck pain for years and as someone who suffered from neck pain from years personally, I understand the struggles of not being able to find something that could solve my particular issue. Fast forward a few years when I became a physical therapist I then started becoming aware of the different technologies that are available that can help with neck pain. One day I was working out the gym, I tweaked my neck and I wanted to replicate what’s called cervical traction. Cervical traction is something that’s been used for decades by physical therapists and chiropractors, but all the at-home cervical traction units are not very effective. All I did was, is I got the band, then wrapped around the pole in the back of my head. I recreated that cervical traction and ten minutes later my neck pain was gone. So I knew that I was on to something. I knew that I then could start trying it on my patients to get their immediate feedback, to see, “Hey. Is this a good idea? Is there something worth pursuing?”. And for the past years the answer to that would be – yes. N: Explain to our listeners why cervical traction was such a success in relieving your pain and the pain of the folks who try the Neck Hammock. S: So many of us have neck pain that’s a result from compression, right? When we sit behind a computer desk all day long the muscles in the back of our neck become very compressed and the spaces where the nerves kind of run out, they become shortened and also compressed. What cervical traction does really well is it just gently and gradually stretches the muscles of the back of the neck which progressively opens up the spaces where the nerves kind of run through, which helps to bring blood flow to the nerves, rehydrate the discs and lubricate the joints within discs. N: Is this something that you would suggest to use regularly to ward off that compression that happens because you’re going to be back at work tomorrow or you’re going to be back driving that vehicle or performing that surgery hunched over again then tweak? Is this something that can be used even if your neck isn’t experiencing pain? S: Absolutely. One of the things that we talk a lot about is final hygiene. It’s the analysis that I used is, you might have low back pain because your hamstrings are too tight and then when you go ahead and stretch those a few times on your own, the back pain starts to go away. But if you don’t continue to stretch those hamstrings well then the back pain is going to come back and it’s kind of like the same thing. With the Neck Hammock is that, if you just use it 3, 4 days a week on a consistent basis for about 10 minutes at a time, doing that would be very preventative and effective in preventing that pain from not only returning but also prevent it from happening in the first place. N: As a physical therapist and someone who deals with athletes on a regular basis. Muscle memory is a huge factor when it comes to alleviating pain and preventing future injuries. Talk about muscle memory as it relates to using the neck hammock and getting those muscles I guess in tune to being better, for better posture and even quality of sleep. S: Absolutely. The thing is that when you are experiencing that pain many times your muscles are in to the state of spasm and there’s a level like disc trust that they have for external devices. The first time that you use the Neck Hammock, it might take you about 5 minutes before those muscles completely relax and trust that this device is doing something beneficial for them. The more that you use it, that time gets less and less to the point where after you use it, half a dozen times your muscles might let go after about 90 seconds versus the full five minutes that it has required before that. Going along with muscle memory is that they become very comfortable and familiar with the device when you use it and it’s kind of like the more that you use it, the more relaxed and the more amazing the experience gets. N: What type of endorsements have you received for your product, say from a chiropractic industry or the medical industry, the FDA if for instance, anything like that, a reality or on the horizon for the Neck Hammock? S: I’ve had a lot of people reach out to me saying, “Hey. My physical therapist or my chiropractor recommended that I get this product because it will be very beneficial for me.”. There’s so many people out there that get the benefit of cervical traction while in their physical therapist or chiropractic offices, but those machines can run up worth of $2000. So their clinicians understand that this person needs cervical traction more often that they can get in the clinic, but if they can get it at a very affordable price then it doesn’t necessarily mean that they have to stop going to see the clinicians. It just simply means that their overall success, it’s probably going to happen much faster and cost much less money. N: Where can we go and learn more about the Neck Hammock? S: If you go to theneckhammock.com, we currently have information on how to use, our testimonials and endorsements from different celebrities and real clients that I see on a day to day basis. If you have any questions at all, we have an email on there that’s relax@neckhammock.com where you can shoot us an email, we’ll answer your questions in a very short period of time. N: Steve, it’s been a pleasure. Thank you so much for coming in and talking with us today. S: Thank you so much Neal. N: You’ve been listening to Health Professional Radio. I’m your host Neal Howard in studio with Dr. Steve Sudell. He’s been discussing the Neck Hammock. It’s a portable device that he invented to relieve pain using cervical traction. Transcripts and audio of the program are available at healthprofessionalradio.com.au and also at hpr.fm. You can subscribe to this podcast on iTunes, listen in and download at SoundCloud. Be sure and follow us on Facebook and Twitter and visit our affiliates page at hpr.fm.